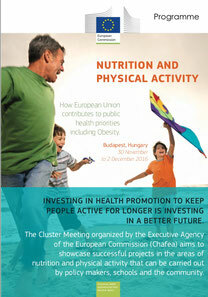 The Executive Agency of the European Commission (Chafea) organised a Cluster meeting on Nutrition and Physical activity. 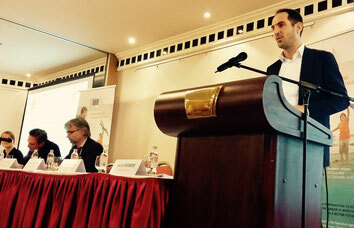 The meeting was held early December in Budapest, Hungary, and a wide range of successfull projects were presented over the course of three days. We were asked to present the SPOTLIGHT project as well as DEDIPAC - two projects with a clear European perspective that recently came to an end. Obesity-related lifestyle behaviours usually co-exist but few studies have examined their simultaneous relation with body weight. In a freshly published study led by Céline Roda from the University of Paris, France, we aimed to identify the hierarchy of lifestyle-related behaviours associated with being overweight in adults, and to examine subgroups so identified. We used data obtained from a cross-sectional survey conducted across 60 urban neighborhoods in 5 European urban regions between February and September 2014. Data on socio-demographics, physical activity, sedentary behaviors, eating habits, smoking, alcohol consumption, and sleep duration were collected by questionnaire. Participants also reported their weight and height. A recursive partitioning tree approach (CART) was applied to identify both main correlates of overweight and lifestyle subgroups. We found that different combinations of lifestyle-related behaviors (prolonged daily television viewing, former smoking, short sleep, lower vegetable consumption, and lower physical activity) were associated with a higher likelihood of being overweight, with sedentary behaviour while watching television was identified as the most important correlate of being overweight. Sedentary behaviour (too much sitting) has been associated with obesity and related chronic diseases. Disentangling the nature of this association is complicated due to interactions with other lifestyle factors, such as dietary habits, yet limited research has investigated the relation between domain-specific sedentary behaviours and dietary habits in adults. In a paper led by Sofie Compernolle which has just been published Open Access, we showed how domain-specific sedentary behaviours and dietary habits in adults were linked. We showed that being more sedentary is related to having a less healthy diet, especially if sedentary behaviours happen in front of the for television viewing. Gender did not moderate any of the relations, and age was only a significant moderator in the relation between other leisure sitting time and alcohol consumption. 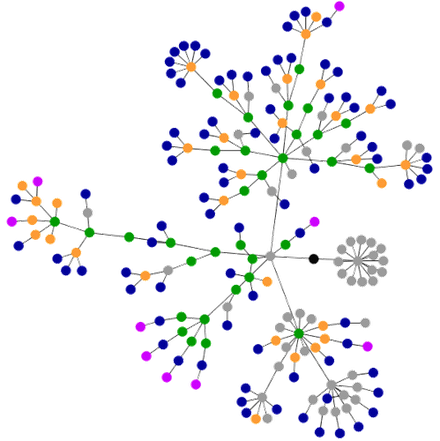 In a study that just came out in PLoS ONE, we examined the associations between several social network characteristics and lifestyle behaviours in adults at increased risk of diabetes and cardiovascular diseases. In addition, we explored whether similarities in lifestyle between individuals and their network members, or the level of social support perceived by these individuals, could explain these associations. We showed that Individuals with more close-knit relationships, more friends who live nearby, and a larger and denser network consumed more vegetables engaged in higher levels of physical activity, and lower levels of sedentary behaviour. Perceived social norms or perceived support for behavioural change were not found to be related to healthy lifestyle. In a study that was just published open access in the European Journal of Public Health, results were presented on the mediating role of social capital in the association between neighbourhood income inequality and BMI. The study led by Joreintje Mackenbach showed that higher neighbourhood income inequality was associated with elevated levels of BMI and lower levels of neighbourhood social networks and neighbourhood social cohesion. High levels of neighbourhood social networks were associated with lower BMI. In some European urban regions, neighbourhood social capital plays a large role in the association between neighbourhood income inequality and individual BMI. After an email invitation to join the team that was sent last week to our wider networks, we were overwhelmed by the positive reactions and registrations to become a member. More than 250 members currently signed up! 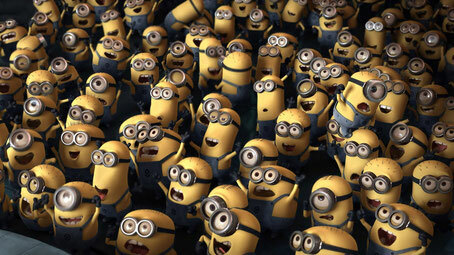 We are working hard behind the scenes to administer all new members (welcome!). We will send out a note to the full community soon, with more information on what members can expect from being part of this community, and where we are heading next. Meanwhile, spread the word and join us if you have not already done so. 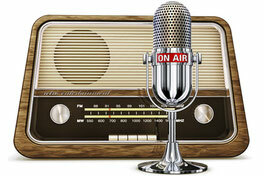 In a radio interview for Amsterdam.FM, Jeroen Lakerveld was asked about the relevance to look for the causes of causes. Link to the interview [in Dutch] here. 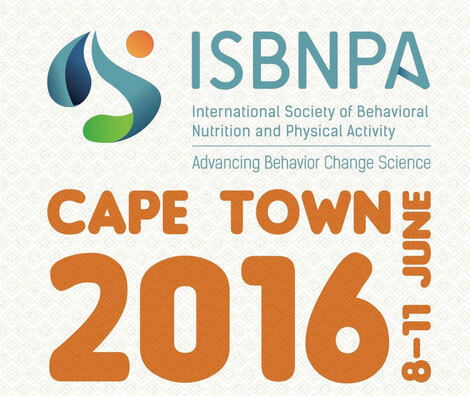 The annual conference of the International Society for Behavioral Nutrition and Physical Activity (ISBNPA) took place in Cape Town, South Africa. 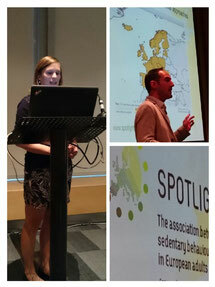 Jeroen Lakerveld and Joreintje Mackenbach presented their work during oral presentations and a symposium on the SPOTLIGHT project. Interesting keynotes were given by Prof. Vicki Lambert ('Can we really make the healthy choice the easy choice?') and Prof. Harry Dugmore ('Perspectives on the use of digital media in health promotion in South Africa'). Maartje Poelman chaired a session on food environments, we heard about novel methodologies (using drones, public cameras and gps) to explore green space-based PA and learned about the role of food retailers in wider food policies and the food system. During the SPOTLIGHT symposium on Saturday, Jean-Michel Oppert shared insights with regard to the complex data collection and analysis used in a recently published study on the identification of different clusters of obesogenic environmental features. Joreintje Mackenbach showed the value of collecting both objective environmental data as well as subjective individual-level data by presenting on the interactions between individual perceived barriers and neighbourhood attributes. 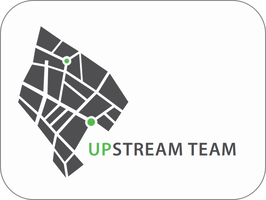 The Upstream Team was represented at the first European Obesity Summit in Gothenburg, Sweden. 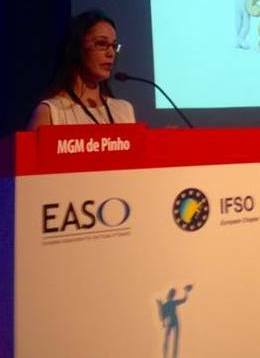 This summit integrated the annual EASO (ECO2016) and the IFSO Annual Congress. The Summit included talks about obesity from the point of view of public health and medical surgeons. Experiences on fiscal measures towards obesity prevention were presented and researchers from different countries shared their experiences with taxes and subsidies on specific food types (saturated fat in Denmark and sugar-sweetened beverages in France). Jeroen Lakerveld, Maria Gabriela M. de Pinho and international colleagues presented on “Interactions of individual and contextual factors related to obesity-related behaviours and obesity in Europe.” New findings were shared on individual barriers towards healthy eating in relation to dietary behaviours; on neighbourhood patterns based on virtual audits; and on environmental, social and individual correlates of obesity-related behaviours and BMI. The session was well received and ended with a reflection from Harry Rutter on lessons for policy, practice, and further research on multilevel obesity prevention approaches. Joreintje Mackenbach presented a set of recent findings at the International Conference of Obesity in the very walkable city of Vancouver. 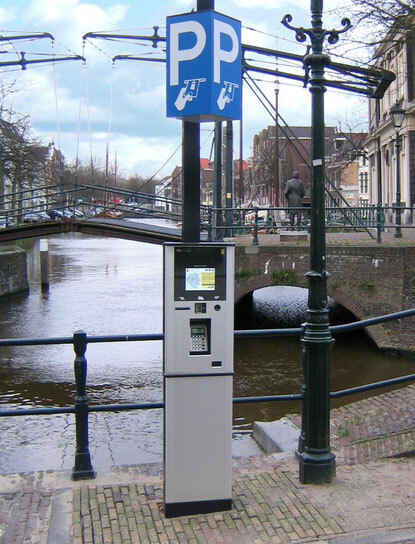 At the conference there were several sessions on upstream drivers of obesity – economics, sociological and urban factors, home and wider environments. Her presentations on income inequality, social capital, neighbourhood destinations and supermarket proximity fitted right in. The presented results from the SPOTLIGHT project were unique as many related studies are conducted in single, smaller regions or countries only. More importantly, combining the results from larger scale studies (such as the SPOTLIGHT and the IPEN project) with smaller and more in-depth investigations builds the case for the need to take the upstream drivers of obesity into account in interventions and policies. In an article publised by Joreintje Mackenbach et al., the impact of urban land-use and public transport policies on active commuting was explored for the Wellington region in New Zealand. Data from the New Zealand Household Travel Survey and GIS data on land-use and public transport facilities were combined. Using the Wellington Integrated Land-Use Transportation and Environment (WILUTE) model, changes in active commuter trips were forecasted by changes in the built environment. Results indicated that high income individuals were more likely to commute actively than individuals on low income. Several land-use and transportation factors were associated with active commuting and results from the modelling showed a potential increase in active commuting following an increase in bus frequency and parking fees. They conclude that access to, and frequency of, public transport in the neighbourhood can act as a facilitator for a more active lifestyle among its residents without negatively affecting disadvantaged groups. 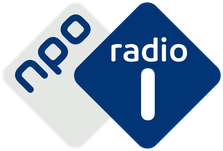 Jeroen Lakerveld was interviewed for Dutch national radio on the potential influences of our environmnet on lifestyle behaviours and health. Sedentary behaviour is increasingly recognized as an important health risk, but comparable data across Europe are scarce. The objective of a study we conducted and that was published this week in Plos ONE, was to explore the prevalence and correlates of self-reported sitting time in adults across and within the 28 European Union Member States. This study was linked to the determinants of diet and physical activity (DEDIPAC) joint action of the Healthy Diet for a Healthy Life joint programming initiative. This study reports data from the Eurobarometer in 2013 with 27,919 randomly selected Europeans (approximately 1000 per Member State). Median sitting time across Europe was five hours per day. Across Europe, 18.5 percent of the respondents reported to sit more than 7.5 hours per day, with substantial variation between countries (ranging from 8.9 to 32.1 percent). 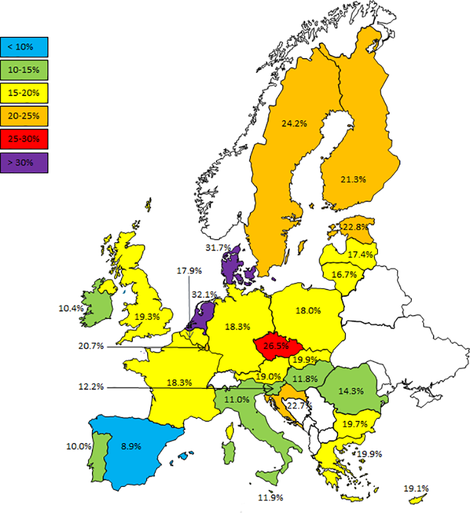 In general, northern European countries reported more sitting than countries in the south of Europe. ‘Current occupation’ and ‘age when stopped education’ were found to be the strongest correlates of sitting time, both across Europe and within most Member States. Compared to manual workers, people with office occupations were 5 times more likely to sit more than 7.5 hours per day. Students were more than 3 times more likely to sit more than 7.5 hours per day than manual workers. There is thus substantial variation in sitting time among European adults across countries as well as socio-demographic groups. 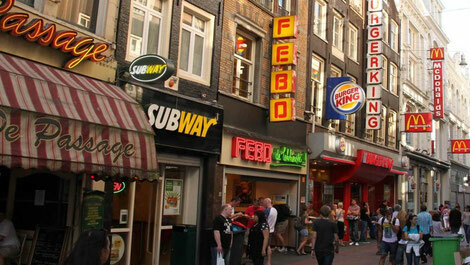 PRESS RELEASE: How local neighbourhoods can raise your obesity risk. Where you live and how you view your neighbourhood is strongly related to your health behaviour and your risk of developing obesity. Read the full World Obesity Federation press release here. The SPOTLIGHT project has generated a wide range of valuable outputs, ranging from the development of novel methodological approaches in the form of the SPOTLIGHT virtual audit tool and methods for assessing the self-defined local neighbourhood of survey participants, to providing insights into the role of social capital, cycling, and sleep in obesity and related behaviours. 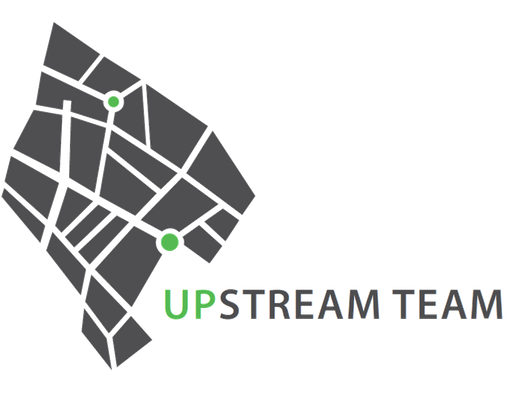 Upstream Team members have published a set of nine research papers, accompanied by two comment articles, in a supplement to the high impact journal Obesity Reviews. 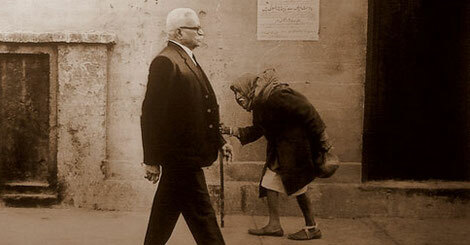 These papers are all freely available through open access. Read the special Obesity Reviews SPOTLIGHT Supplement here. Urban planners: the ball is in your corner! 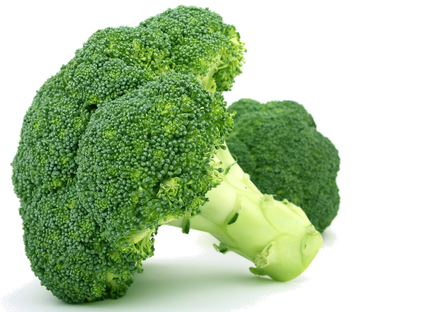 prevent adult obesity and the role of the environment. 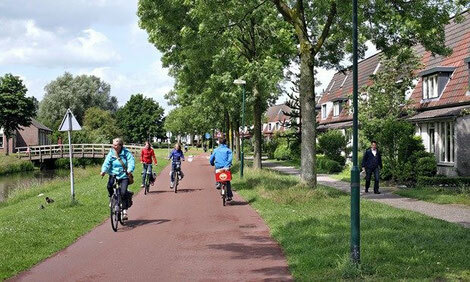 They find that urban planners have a responsibility to ensure that the neighbourhoods they design will promote healthy behaviour, and better still if the environment can encourage social networking and community support.